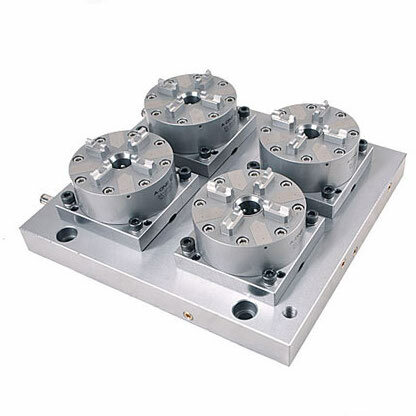 Without the proper supplies, such as dielectric fluid, electrode holders, machine vises, electrode materials, Erowa or System 3R precision tooling, EDM filters, dielectric fluid, and a well equipped inspection area, the investment will fall short of your expectations. It might seem hard to imagine that anybody would spend a great deal of money on a Charmilles-Agie WEDM machine, or a Sodick EDM, and skimp on the associated precision tooling, but it happens more often than you might think. Understandably, once you have spend $200,000 on a machine tool, you might not be in any mood to continue spending on what might seem superfluous equipment. This is especially the case when the decision maker is an accountant type, who actually has no idea whatsoever what it takes to produce precision mould components or die inserts. WEDM wire is so critical to the process that it simply cannot be overlooked. A good wire will be consistent in diameter and not tend to break. Few things are as maddening as imagining that your wire EDM machine is running all weekend, only to discover that the wire keeps breaking and the machine stops cutting as a result. Mitsubishi wire, Hitachi wire or Gisco wire are all quite popular. New coatings and formulas are constantly being developed, so it is wise to stay abreast of industry developments: the competition certainly is! Belmont is a leading supplier of WEDM wire and they offer OKI-P wire from .004 in. diameter. 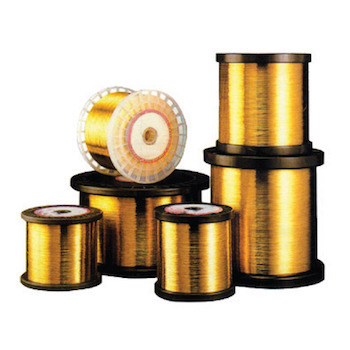 This hard brass wire has been an industry standard for many years. They also offer half-hard brass with the OKI-B and OKI-PSX precision half hard brass wire. Gisco has the Cobra, Topas, Bronco and Megacut lines that have been specifically developed for use in the major WEDM machines from Charmilles, Mitsubishi, Agie, and other machines from Europe and Japan. Sinker EDM fluid plays an important role that is often overlooked. Maintaining clean fluid is essential, in order to maintain consistency in the machining process. Dirty or contaminated dielectric fluid affects the spark gap, flushing and surface finish. Some popular types of dielectric fluids are KleanKut 245, Rustlick, Commonwealth, and Ionoplus. Newer formulations are eco-friendly, as well as skin-friendly. This is a welcome development and should be a major part of the decision making process. In the past, most fluids were kerosene or paraffin based, which made them both irritating to the skin and difficult to dispose of safely. These days most dielectric fluids are synthetic and out perform the old, smelly oils of the past. A modern die, mould or precision metal stamping tool shop uses the best tooling available for their machines. This eliminates the need for tedious and expensive set-ups. With the proper tooling and planning, it is quite possible to move the workpiece and electrode from the high speed milling machine to the EDM without any pickup or orientation at all. Two of the top suppliers for this precision tooling are System 3R and Erowa. Both companies offer a complete line of machine vises, electrode holders, magnetic chucks, automatic tool changers, pallet changers and various vise tools. Hirschmann, Hermann Schmidt and MecaTool also are major suppliers for electrode holders. The wire EDM requires special DI filters to de-ionize the water. All the major companies: Sodick, Charmilles-Agie, Mitsubishi, Makino, Brother, Fanuc, Hitachi, and Japax take different filters. Fortunately, there here are several companies that offer after-market filters that are considerably less expensive. Novotec and Advanced EDM Supply, which offers Sunfil filters, are two good suppliers. The sinker EDM also requires quality filters to ensure proper performance. Some high quality EDM filters are Ebbco, Nova, and Mann. Often, this component is overlooked, yet it is quite critical to the process. It is not advisable to wait until a problem develops before changing filters, rather they should be on a scheduled maintenance program. Essential to the process are the different types of inspection and set-up tooling. A high quality granite surface plate, drop indicators, test indicators, gage block set, pin gage set, optical comparator, sine plate, toolmakers microscope and precision micrometers are all necessary to check the electrode and workpiece. The Starrett Company, Hermann Schmidt, Brown and Sharpe, and Mitutoyo all are top suppliers of this type of tooling. Investing in quality inspection equipment cannot be overemphasized, given the increasing demands for accuracy and surface finish. Every sinker EDM needs an electrode to work, and graphite and copper are by far the most popular materials. Poco graphite is quite common, though there are many other good sources. Almost all copper electrodes are made from tellurium copper, due to it’s excellent machinability properties. Most shops have long used Poco graphite for sinker EDM machining. Other brands that are very competitive include Toyo Tanso with their TTK-50 graphite, and Amerigraph has a line of high end graphite. 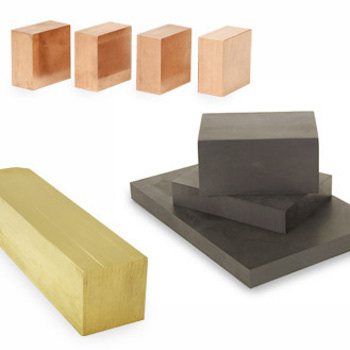 In the past, European and Japanese mould/die makers preferred copper over graphite. This is still the case, but gradually changing. Tellurium copper, known as Telco, is the most common. Electrolytic copper, or pure copper is highly effective, but difficult to machine, therefore it is not as popular.